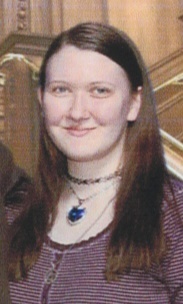 Christina Thompson, 32, of Colona passed away January 28, 2019 at her home. Funeral services will be private. Memorials may be made to the family. Christina was born November 24, 1986 in San Luis Obispo, CA the daughter of James and Cathy Thompson. She enjoyed bowling, fishing, going to the casino and loved reading and researching the Titanic. Survivors include her parents James and Cathy; half-brother Thomas (Judy) Thompson of von, IN; various nieces, nephews, aunts and uncles and numerous cousins.